One of the ambitions for the Ipswich Maritime Trust is to turn our Window Museum into a larger Ipswich Maritime Museum. There are various milestones we must meet to get there. So currently we are still growing and building our collection of important maritime artefacts from Ipswich and Suffolk’s rich and interesting history. To do this, we needed somewhere where we could safely store the collection and our exhibition material as well as to conduct important conservation work. We are lucky to have two large converted shipping containers for our artefacts and Window Museum fittings. The first was kindly donated by ABP and in 2016 after the need for expansion we purchased a container from Adaptainer here in Ipswich, and with the kind permission of ABP we installed it in Ipswich. Our new container has proved very helpful in giving a space for one of our amazing volunteers Ben to work on various large-scale models and dioramas that are central to several of our recent exhibitions. In 2017 we finished fitting out the new container in which we created a more controlled atmosphere, with a higher level of insulation to give us more control of the humidity and temperature, to better protect our collection. We also installed a solar powered fan system to add a degree of air movement, instead of having a completely air tight storage system, installed by another fantastic volunteer Colin. The new container contains all the artefacts that have been accessioned into our collection, whilst the old container has all our large mounted photos, exhibition props and other equipment that help us put on the various exhibitions and displays that we undertake. These two containers make our work a lot easier and we are always looking to expand our collection. 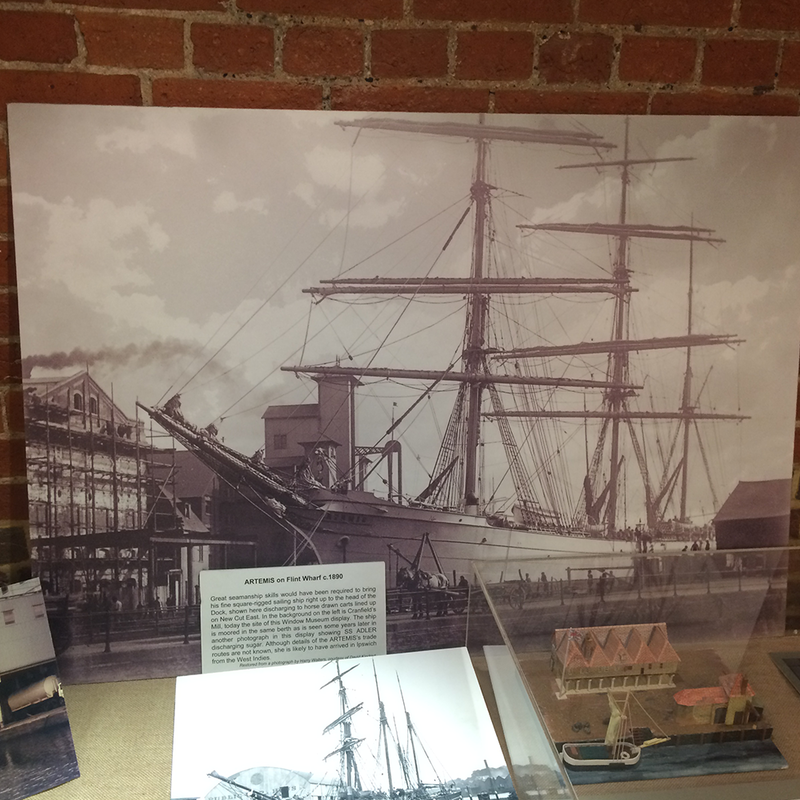 Therefore, we are always so pleased to receive more donations of items that relate to Ipswich’s maritime heritage, as we now have space to care for them properly and they do feature at our exhibitions and within the Window Museum. Equally if you are interested in becoming a conservation volunteer with us, drop us an email.